A flu shot // A checkup // Earwax removal // And more recently, monitoring of your asthma, diabetes and hypertension—a new way to encourage repeat visits. When they first appeared, in Minneapolis in 2000, retail clinics were a curiosity, occupying corners of pharmacies. They generally included such user-friendly features as clearly posted pricing (often in the $55 to $65 range) and hours of operation that stretched into evenings and through weekends. Operators of these businesses limited costs by staffing them with nurse-practitioners and physician’s assistants. Most states require that a physician collaborate with the NPs and PAs, but the extent of that collaboration differs. 3. “Comparing Costs and Quality of Care at Retail Clinics With That of Other Medical Settings for 3 Common Illnesses,” by Ateev Mehrotra et al., Annals of Internal Medicine, September 2009. 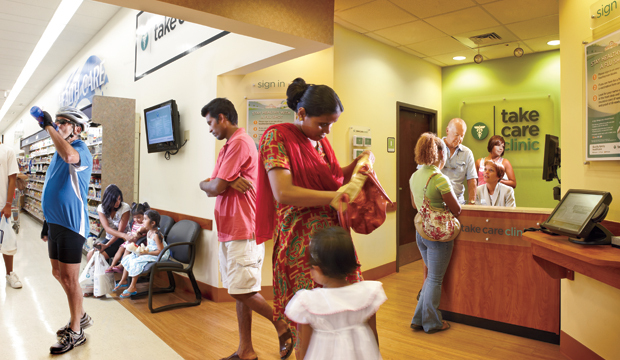 The most noteworthy finding: The care at retail clinics is just as good as that given by doctors’ offices and emergency departments—at least for otitis media, pharyngitis and urinary tract infections. Massachusetts has been a model of health reform (reform Scott Brown endorsed). Its 2006 plan, a compromise between Republicans and Democrats, has improved access to care while keeping costs well within projections. That’s the real lesson of the recent Senate vote.